It's increasingly clear that leadership should be shared—for the good of any organization and for the good of the leader. Many churches have begun to share key leadership duties, but don?t know how to take their leadership team to the point where it thrives. Others seriously need a new approach to leadership: pastors are tired, congregations are stuck, and meanwhile the work never lets up. Researchers and practitioners Ryan Hartwig and Warren Bird have discovered churches of various sizes and traditions throughout the United States who have learned to thrive under healthy team leadership. Using actual church examples, they present their discoveries here, culminating in five disciplines that, if implemented, can enable your team to thrive. The result? A coaching tool for senior leadership teams that enables struggling teams to thrive, and resources teams doing well to do their work even better. "At Saddleback we've shared leadership from the beginning. While it's not always been easy, it's absolutely been worth it. This insightful book, with its strong research, real-life stories and practical how-tos, makes it easier for you to build a strong, thriving senior leadership team." "As someone who is passionate about helping teams become more productive and healthy, I strongly recommend Teams That Thrive. It draws out best practices and principles from hundreds of leadership teams, pulls together top marketplace research and then illustrates them with stories from churches at every level. I encourage you not to simply read it yourself, but to read it and work through it with your team. It will make you better. It will help you thrive." "In Teams That Thrive, Ryan and Warren provide the church with valuable insight from research rooted in biblical principles to create a picture of team leadership that is sound and scriptural. Whether your church is two hundred or two thousand, whether your team is two or twenty-five, this book will be an essential resource." "The most effective churches in America today have strong leaders who surround themselves with a smart team of leaders. Finally, a practical book on leadership that helps churches develop the right kind of team to lead their church forward. This book is long overdue, greatly needed and high on my recommendation list." "We know that we're supposed to like working in teams, but how many of us actually get excited when we hear the word teamwork? It isn't that we hate working with others, it's just that more often than not teams seem to make things harder, not easier. Fortunately, in Teams That Thrive, Ryan and Warren promise it doesn't have to be that way. Read this book and start creating teams that work!" "Serious leaders are serious about their teams because something extraordinary happens when a team thrives, something much greater than the sum of its parts. Teams That Thrive is an unusual blend of spirit and practice. It is fresh, deep and eminently helpful!" "This practical book is full of tips and tools that church leadership teams can use to become better and to increase in impact. Teams That Thrive will be a great help to my own team as we help church leadership teams get unstuck." "I can't think of a better, more needed topic than Teams That Thrive. The ability to build a culture of collaboration and team leadership is crucial to anyone's effectiveness in ministry. For years, Warren Bird has been a go-to expert for pastors wanting to learn how to do things better, and here he teams well with university professor Ryan Hartwig to pull together top research and great examples." "I wish I had read this book at the beginning of my ministry career! 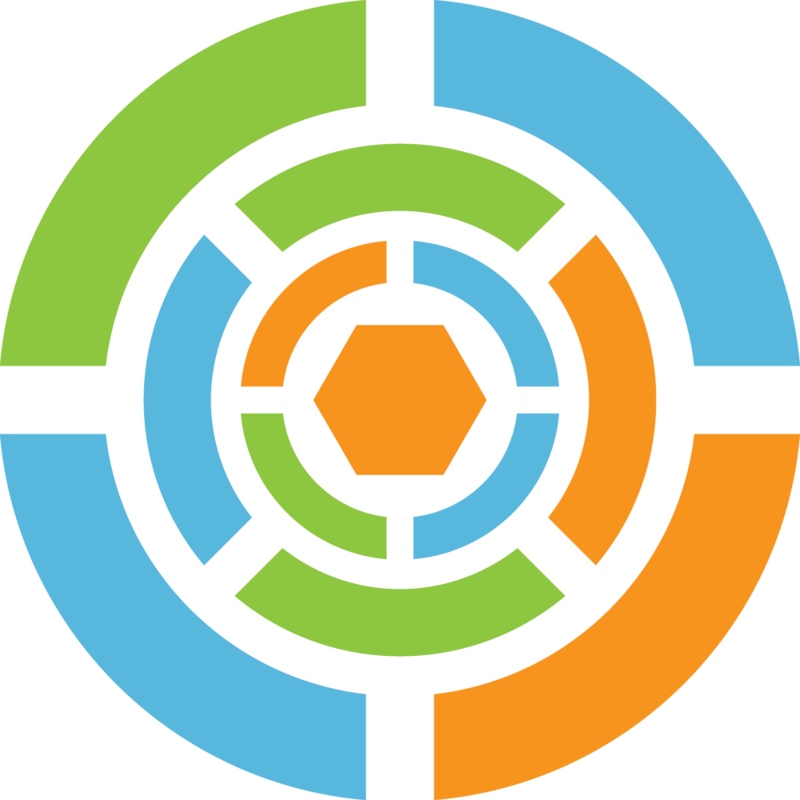 Teams That Thrive is an incredible resource to help you and your team rethink how you lead. Packed with outstanding research, helpful tips, practical wisdom and thoughts from expert commentators, this book is the how-to resource you need to move your team (and your church) from simply surviving to thriving." "In this rigorous and readable treatment of church leadership teams, Warren Bird and Ryan Hartwig show how shared leadership and an effective team at the top not only ensure high-functioning church operations, but they also provide the model for a thriving congregation and a healthy community culture. 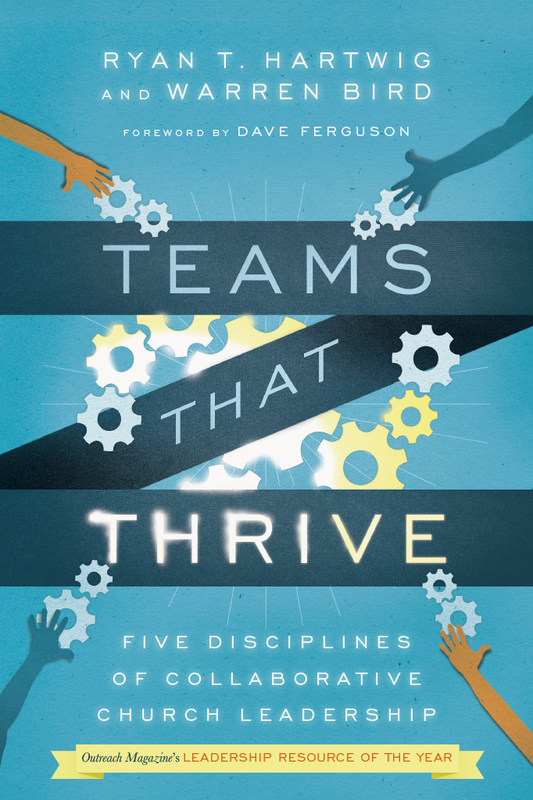 Teams That Thrive provides practical solutions and inspiring wisdom to those who would elevate their team leadership capacity in ways that genuinely contribute to effective, purposive and growing church communities." "I'm a better leader with a healthier leadership team because of the principles outlined in this book. In Teams That Thrive, Ryan and Warren have given all of us an accessible roadmap for high performance leadership teams in any church context." "Every time I meet with pastors, the subject of leadership comes up at some point in the conversation. The struggle for all churches is to build new leaders who are unified around a common vision. This is a needed book to help us build better teams and better churches." "The daily life of running a church ministry is all about teams. How are they doing? Are they growing? How do we get new folks on teams? 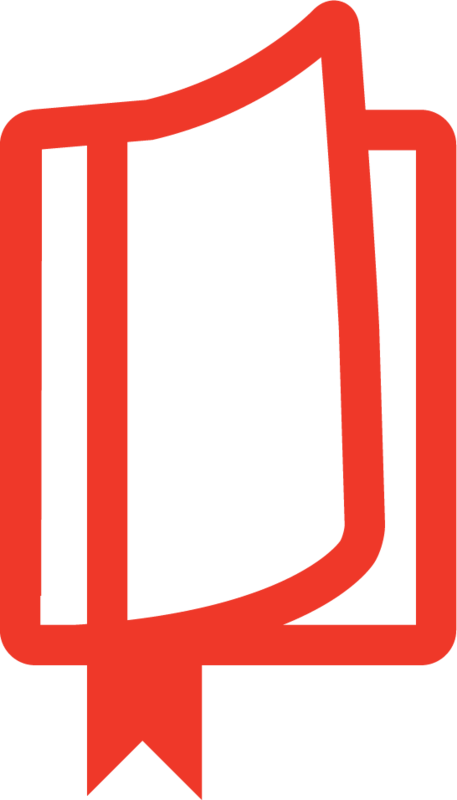 Teams That Thrive helps us to answer these questions with solid research, stories and examples, and to form and maintain great teams." "Church leaders talk big about the priesthood of all believers, but too many don't know how to live that out on the leadership team level. This excellent book shows how." "What's essential and what's superfluous? What should we tackle head-on and what should we detour around? How do we course correct when we hit trouble? How do we keep momentum when we have it? From a strong mythbuster start to a next-best-step finish, this book is a one-of-a-kind resource for teams. Spoiler alert: help is here." "Rarely does a book debut in the church arena that has a strong combination of understanding, analysis, solutions, research, biblical basis and real life usability. My friends Warren Bird, Ryan Hartwig and their team have produced just that in Teams That Thrive. Churches will be stronger because teams will be healthier and more productive, enhancing the kingdom of our Lord. Every leader in your church needs a personal copy of this book." "Teams That Thrive is about the work that leaders do to build high performance teams—and the things that are keeping them from it. If your team embodies the disciplines in this book, you'll be well on your way to a team experience that will not only change your organization but will ultimately change you!" "I'm a lay leader serving on the leadership team of a church of 225 and this fast-moving book has a lot of practical ideas and relevant application for us." "This is an excellent book for ministry leaders intent on developing teams for greater effectiveness in the local church. Hartwig and Bird have published a helpful resource that can stimulate dialogue and growth for thriving team ministry." "Teams That Thrive is an incredibly practical guide for church leadership teams. Dr. Bird and Dr. Hartwig understand that pastors don't need another book on leadership theory; they need practical tools to implement collaborative leadership in the context of day-to-day ministry. That's exactly what Teams That Thrive delivers." "Acknowledging that every church context is unique, Ryan and Warren clearly explain each discipline and how they are accomplished. Commentary from a recognized expert or veteran leader validates insights and provides further tips for implementation. Starting with a reality test of your current leadership effectiveness, take your church staff to a new level of spiritual maturity, mutual support, energized action and high accountability." "Researchers and practitioners Ryan Hartwig and Warren Bird have discovered churches of various sizes and traditions throughout the United States who have learned to thrive under healthy team leadership. Using actual church examples, they present their discoveries here, culminating in five disciplines that, if implemented, can enable your team to thrive. The result? A coaching tool for senior leadership teams that enables struggling teams to thrive, and resources teams doing well to do their work even better." "Teams That Thrive is especially helpful for pastors who lead a staff and want the staff to function as a team rather than as independent staff members who run in their own lane and rarely collaborate. Running a staff team that succeeds takes intentionality and hard work. This book helps spot areas of focus that will improve the pastor's leadership and the team's performance." "I would recommend this book to any team that is struggling to grow their capacity and increase their effectiveness." "Researchers and practitioners Ryan Hartwig and Warren Bird studied churches of various sizes and traditions throughout the United States that have learned to thrive under healthy team leadership. Using church examples, they present their discoveries here, culminating in five disciplines that will enable your team to thrive. Their book is a great coaching tool for senior leadership teams struggling to thrive, and a helpful resource for teams doing well but wanting to do even better." Part I: Why Read a Book about Leadership Teams? 1. Myths We Believe: How Many of These Did You Think Were True? 2. Your Vantage Point: How Is Your Church Being Led Right Now? Part II: Why Do Leadership Teams Make Sense? Part III: How Well Is Your Team Thriving? Part IV: What Are the Collaborative Disciplines of Teams that Thrive? Part V: What?s Your Best Next Step? 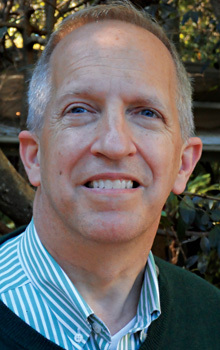 Warren Bird (PhD, Fordham University) is the director of research and intellectual capital support for Leadership Network. He also spearheads ongoing research initiatives and Leadership Network’s free bi-weekly e-newsletter, Advance. Warren has written many publications for Leadership Network and also collaboratively authored or co-authored over twenty books for ministry leaders, including Next: Pastoral Succession that Works, Viral Churches, The Multi-Site Church Roadtrip, and Better Together: Making Church Mergers Work. 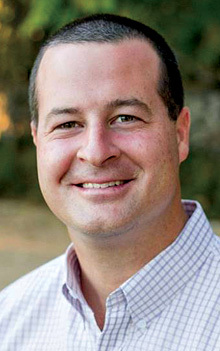 Warren is an ordained minister through the Christian and Missionary Alliance, having served as a church planter, associate pastor, or lead pastor for fourteen years. Warren and his wife, Michelle, live just outside New York City and have two grown children.